Let’s face it; you’re not just building Apps for fun. Building Apps is a business and you need to earn money to keep going. But, with a number of options available for monetization, what tactic should you adopt for your app? In Gaia Mobile platform you can choose between various monetization options depending on your users profile and your marketing goals. If your app includes digital media content such as video, audio and articles and you want to offer this content to your users for payment, In-App purchase is the best monetization option. According to reports, the in-App purchase isn’t just the most popular monetization option, but also the most revenue generating one, with raking in 76 percent of all revenue in the Apple App Store in the US and over 90 percent in the Asian markets. In Gaia Mobile platform you can manage any type of digital media product such as subscriptions, consumable products and non-consumable products. Gaia Mobile will keep track of all orders made by your users. Using Gaia Mobile subscription management system, your users can buy on one platform (i.e. IOS iPhone) and view the purchased content on a different platform (i.e. Android tablet) and control how many devices can view the purchased content at the same time. Coming soon: Using Gaia Mobile portal dashboard, you will be able to get statistics of purchases made in your App and manage individual client purchases. If your App has a large number of downloads which use your App on a very frequent basis, making money from advertisement in the App might be the best monetization option. Banners in top, middle or bottom of the page. Interstitials that you can control where and how often they pop up. Rich media and Live box. Gaia Mobile Video Player offers pre-rolls and mid-rolls Ads based on VAST standard. Marketing content is an additional monetization option in which a commercial article that describes a specific brand is merged into the regular app content. This method is emerging recently with growing success. 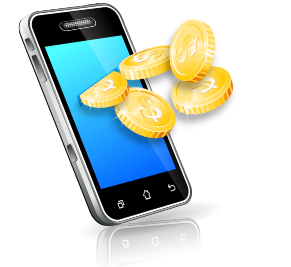 Gaia Mobile platform fully supports this revenue stream. Another monetization channel that gained a lot of success is content recommendation (i.e Outbrain and Taboola). It’s a special panel, usually inside the article page that offers additional articles to the reader based on a learning engine and personal preferences. While some of the content might refer to internal articles, other recommendations offer sponsored content. Thus making it an additional revenue stream for the App.